The Spinfire Blaze has been designed for serious stringers who require a stand, fast mounting/dismounting and precision stringing. The advanced turntable only requires 4 knobs rather than 6 to secure the frame, saving valuable time. 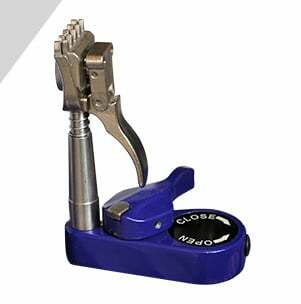 It provides plenty of room for easy movement and has spring loaded base clamps for quick release. Linear grippers allow the stringer to simply and easily attach the string to the pulling mechanism without any need to wind it or bend it which can cause damage to the string. The manual crank mechanism allows the stringer to consistently pull the tension into every string. The tension can easily be calibrated and the wind back handle can be positioned for right handed or left handed stringing. The advanced mounting system, uses four knobs instead of 6. It achieves this by bringing both side arms together simultaneously which automatically level the racquet with the k shaped side supports. This saves time when mounting and dismounting the racquet and also provides a symmetrical mount, reducing the chance of error. The towers have been designed to lean back, giving the stringer more room to move their hands. 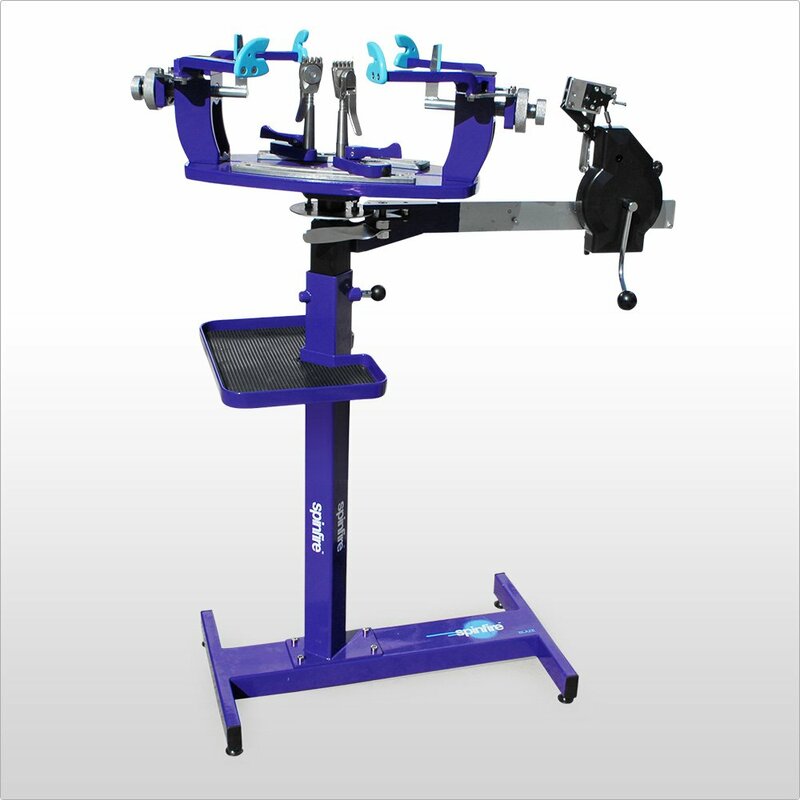 This machine utilizes a 6 point mounting system which supports the frame fully and prevents warping or damage. These can be micro-adjusted allowing you to secure the frame tightly without damaging it. The tool tray sits on the stand and has plenty of room for all the necessary tools. Whilst not as portable as the Spark or Flame, this machine can easily be separated at the top of the frame and carried in two pieces, making it convenient to fit into a car for transport to and from tournaments. Their clever design provides extra finger room when releasing the lever and the adjustment knob has been recessed into the clamp to allow both clamps to get closer together. The machine comes standard with tennis clamps. Stringers wanting badminton/squash clamps can purchase them separately or choose them instead of tennis clamps. The base clamps are spring loaded to make releasing quick and easy. The Spinfire Blaze comes with a 2 year warranty on parts and labor. 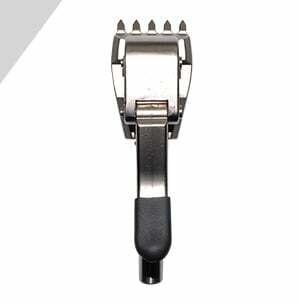 Badminton/squash clamps – These smaller clamps allow you to work in tighter spaces and are a must for badminton and squash stringers.